PGT Trucking - The Proud Professionals! When you drive for PGT Trucking, you are part of a team recognized as the best in the flatbed industry. We look for drivers who are team-oriented, reliable and committed to their profession. Our cutting edge technology and quality equipment maximizes driver safety and efficiency while helping to ensure our customers' loads arrive on time.. Being a professional company driver at PGT means you are now one of the elite drivers in the industry. Whether you are new to trucking and just obtained your CDLA, a Military Veteran, an experienced driver, or anywhere in between, we have positions to fit your level of expertise! 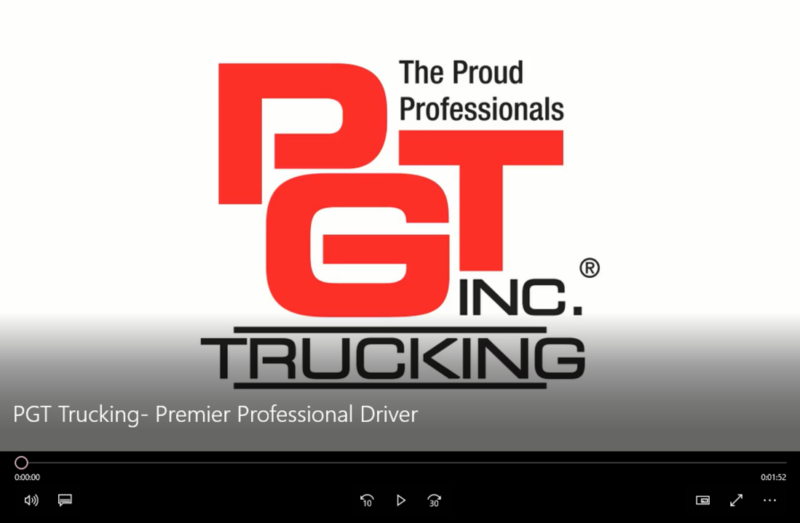 PGT Drivers enjoy industry-leading salary, benefits and training packages! Percentage Pay - 25- 28% of Line Haul Revenue! A customer needs a load hauled 1,236 miles and will pay $2,900 for the load to be moved. You will receive another $2,500 at the referred Drivers 1-year anniversary - earn up to $4,000 per hire...refer 10 Drivers that stay 1 year and receive $39,250! Click Here To Fill Out Our 1-Minute App!